LANSING, Mich. (AP) — Michigan’s mandatory fee to cover unlimited medical benefits for catastrophically injured drivers is rising to a record $220 per vehicle, which is more than double what it was a decade ago. The Michigan Catastrophic Claims Association, a state-created entity that reimburses insurers for personal injury protection benefits paid in excess of $555,000 per claim, announced the increase Wednesday — prompting Gov. Gretchen Whitmer to order an audit of the group’s financial operations. The annual assessment currently is $192 and will jump $28 starting July 1. The insurance industry said the announcement highlights the need to change the state’s “broken” system, which the Republican-led Legislature is reviewing. 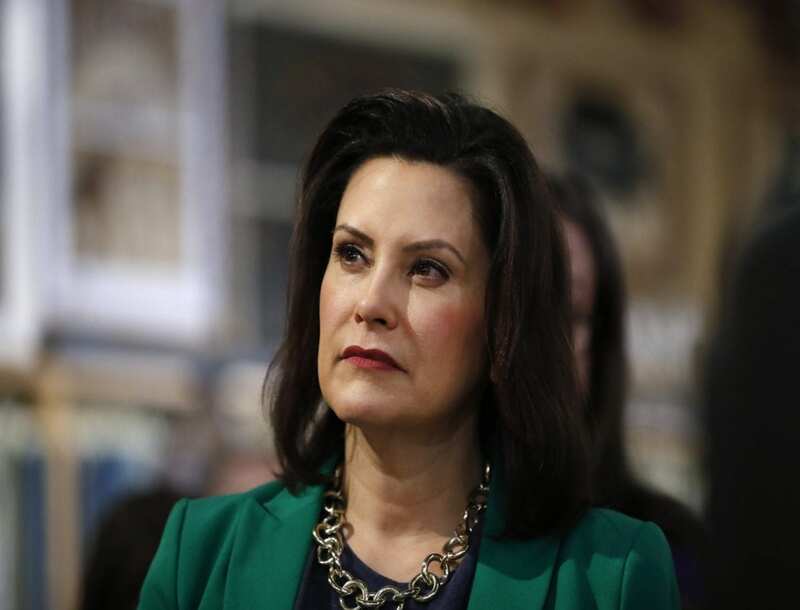 But Whitmer, a Democrat, said there should be more transparency so that motorists who are “feeling the pinch” can understand the basis for the fee hike. “Michiganders deserve to know why they are being forced to shell out hundreds of dollars in additional fees for car insurance,” she said in a statement. While the state Department of Insurance and Financial Services already audits the Livonia-based association every three to five years, Whitmer’s administration said the newest audit will be accelerated. Michigan is the only state to require unlimited lifetime coverage for medical costs resulting from car crashes — typically for brain, spinal cord, neck and back injuries. The state also allows health providers to bill car insurers much more for care than health insurers pay. Both factors contribute to what are the country’s most expensive average auto insurance rates. GOP lawmakers have said lowering premiums is a top priority this session, though past attempts to rein in costs or make the unlimited coverage optional have stalled. The fee, which fluctuates each year, is going up for the fourth consecutive year. The assessment was about $105 per vehicle in 2008-09. Of the $220, $177 will cover anticipated new claims and expenses, and $43 will address a $3.9 billion deficit related to existing claims. The association, a private nonprofit whose board is comprised of insurance company officials, said the pending fee hike is largely due to an increasing number of claimants, rising medical care costs and lower-than-expected investment earnings. It reported paying $1.2 billion for claim costs in 2018, including $683 million — or 57 percent — for attendant and residential care. Since the inception of the organization nearly 41 years ago, more than 40,700 claims have been reported. Be the first to comment on "Michigan’s Unique Auto Fee Rising To $220 A Vehicle In July"